Match your gorgeous glowing complexion with Mamonde’s Big Eye Mascaras that enhance your eyes for the classy look or the elegant look. 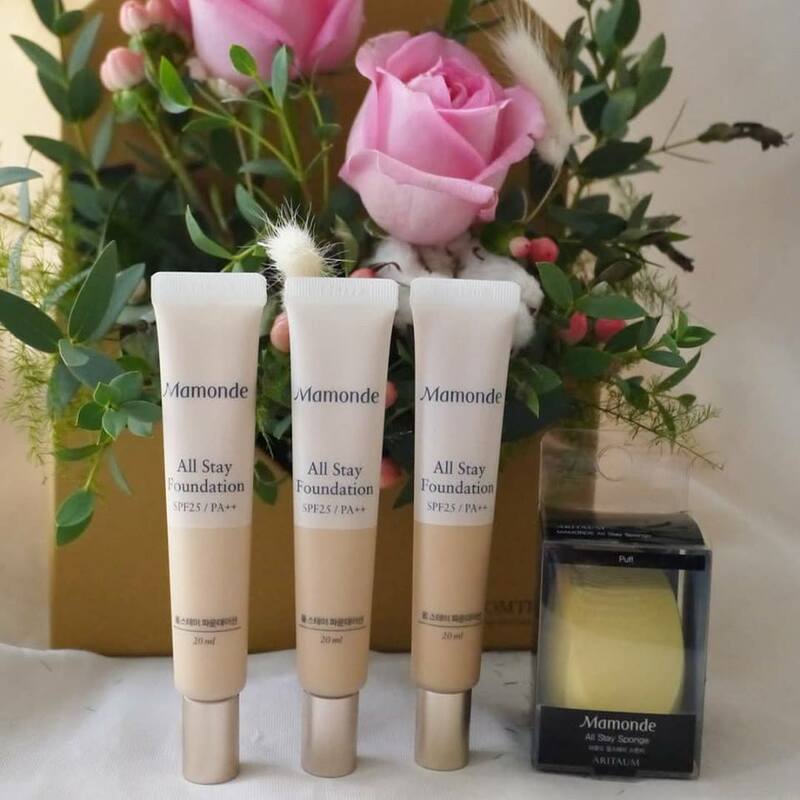 Get those lashes curled up and volumized for up to 24 hours with a Mamonde’s lightweight, formula that will make your lashes the talk of town. Introducing the newest addition to the Big Eye Mascara range, the Big Eye Waterproof Mascara! 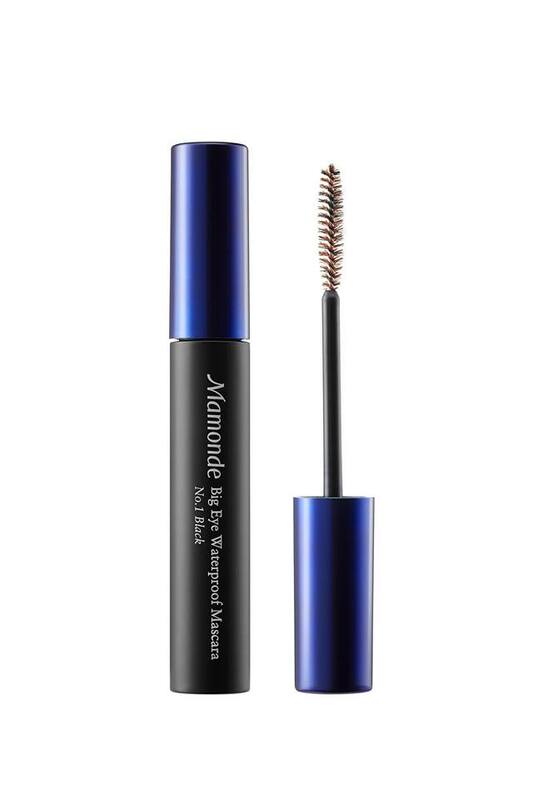 This waterproof formula volumizes and curls lashes with a flick of the wrist and maintains up to 95% of the curling effect for 24 hours, ensuring luscious lashes at any time of the day. Enriched with Iris extract to pamper the delicate skin around the eye, this lightweight formula coats each lash from root to tip evenly to keep your lashes looking lush and full. For those of us who prefer a less dramatic lash, the Big Eye Long and Curl Mascara is ideal. Effortlessly extend and curl your lashes with a sweat, sebum and water-resistant formula that gives you those defined, natural looking lashes that every girl wants. The alternated textures of the wand ensures smooth application of mascara to perfect your “no makeup” makeup look. Noticed how water rolls off a delicate flower petal? The Big Eye Waterproof Mascara and Big Eye Long and Curl Mascara keep your lashes looking fresh all day long. “Panda eyes” will be a thing of the past with these sweat, sebum and water-resistant formulas that keeps your eyelashes looking bold and fluffy, so you don’t have to worry about your mascara flaking or smudging, anywhere you go. How many times have you peered into the refrigerator and discovered, way in the back, a container that’s been stashed there for weeks, overlooked and forgotten? It’s no secret that as Malaysians we love our food but did you know that we waste around 15,000 tonnes daily? According to the United Nations Food and Agriculture Organisation, 20% of this amount or 3,000 tonnes are untouched leftovers that are still edible. This amount is enough to feed 5.3 million people 3 decent meals a day! It makes sense for us to get smarter about fully using the food that we purchase, and getting smarter about leftovers for all kinds of reasons; environmental, social and financial. 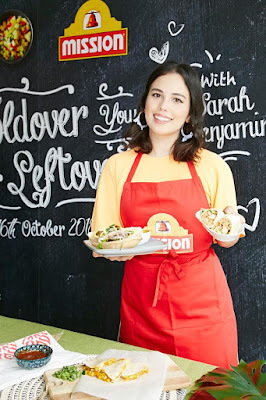 To mark this year’s World Food Day on October 16th 2018, Mission Foods has joined forces with the lovely Celebrity Chef Sarah Benjamin to kick off a “Foldover Your Leftovers” campaign. 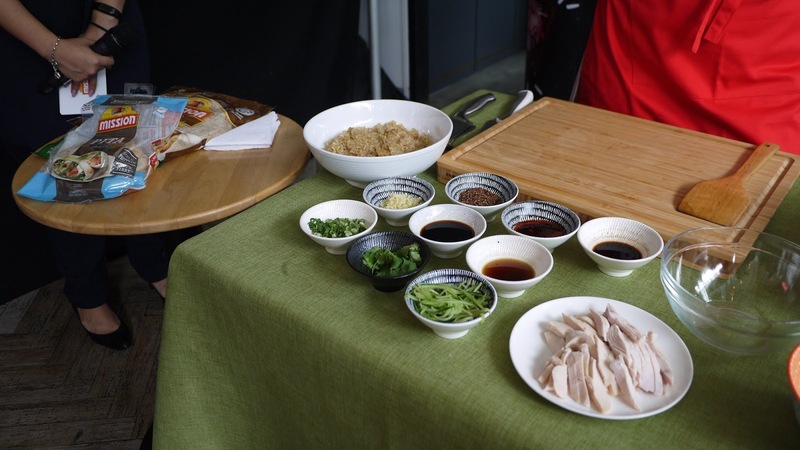 The campaign revisits the old adage “Waste Not Want Not” and aims to inspire people with nifty ideas on how to turn leftovers into brand new delicious meals. 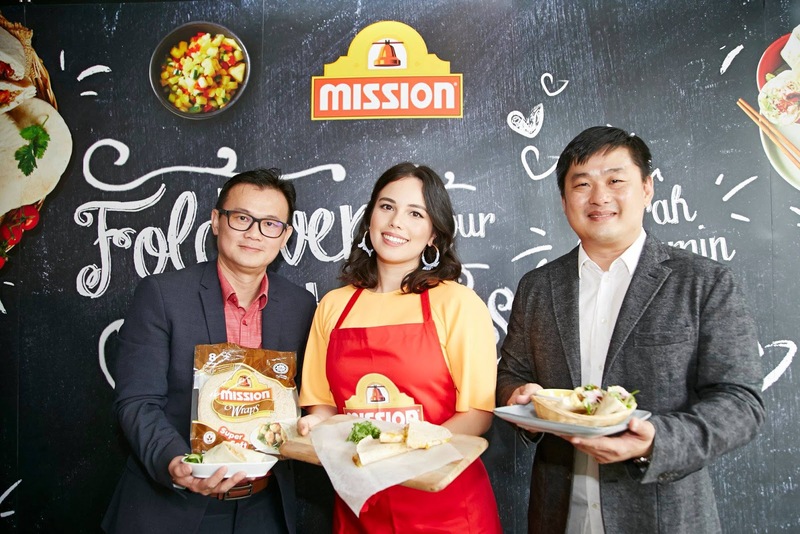 Sarah, previously seen cooking up a storm on the Asian Food Channel, will lead the campaign by Mission Foods Malaysia sharing recipes and ideas through social media, PSAs and even a recipe booklet which will be available in stores with purchase of Mission products. Sarah used Mission Foods’ wraps, naan and pita as the perfect canvas to create entirely different and diverse new meals from leftovers of everyday Malaysian meals such as Curries, Satay and Chicken Rice. 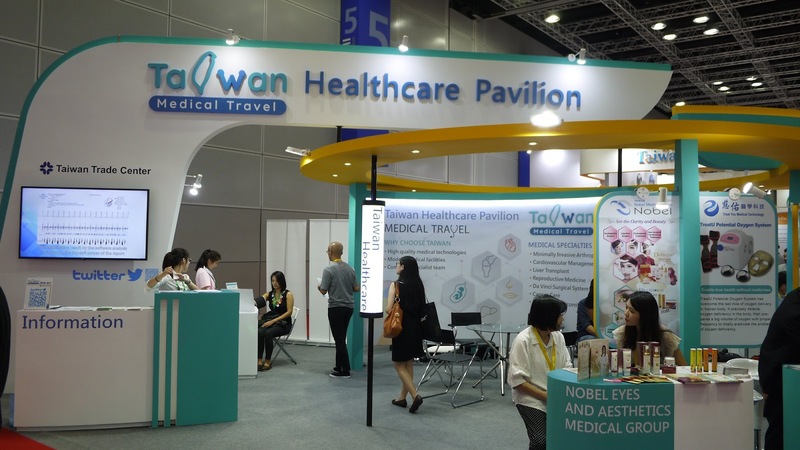 Taiwan's best Healthcare practices and innovations was showcased for the first time in Malaysia at Taiwan Expo 2018 – Taiwan Healthcare Pavilion recently. It was a once-in-a-lifetime opportunity for visitors to see and experience for themselves the best healthcare practices and innovations by Taiwan's top medical personalities and institutions. 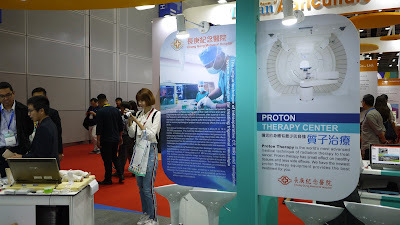 There were nine medical services and healthcare providers exhibited in the pavilion, each one promoting their own specialty many of which are presented for the first time in Malaysia. 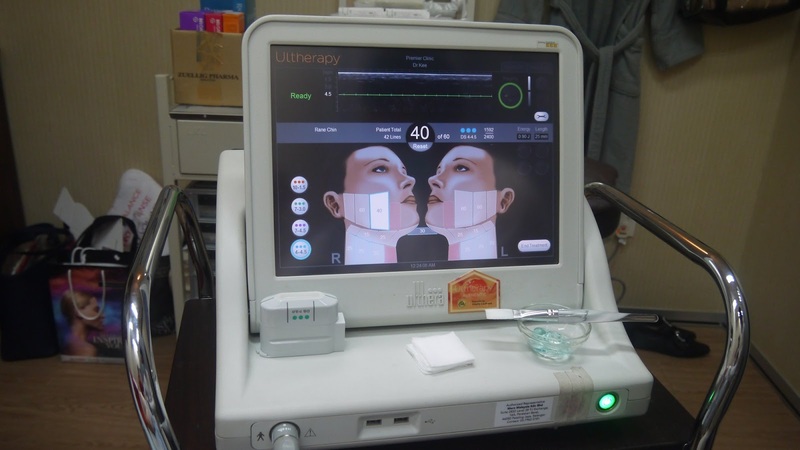 Chang Gung Memorial Hospital - the advanced Percutaneous Radiofrequency Therapy by the highly regarded Prof. Dr. Jen-Tsung Yang, Vice Superintendent at the Chiayi branch of Chang Gung Memorial Hospital. Dr. Yang has shared his research and thought processes behind the invention of the therapy. Using high-tech facilities of intraoperative CT, MRI and navigation system, the therapy allows doctors to administer treatment quickly and precisely at the target location without generating a wound. Chang Gung Memorial Hospital is the World's largest medical group with seven branches in Taiwan. It is one of the only two hospitals in SEA providing Proton Therapy treatment using the advance medical technique of radiation therapy to treat cancer. The other countries that are providing Proton Therapy treatment are Japan, Taiwan, Korea and the USA. Chang Gung Memorial Hospital has provided Proton Therapy treatment for two years now, and they have achieve 70% control rate with the survival for 5 years and above. 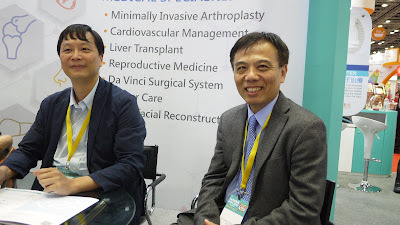 Overseas patients can arrange transfer to the hospital by International medical management. 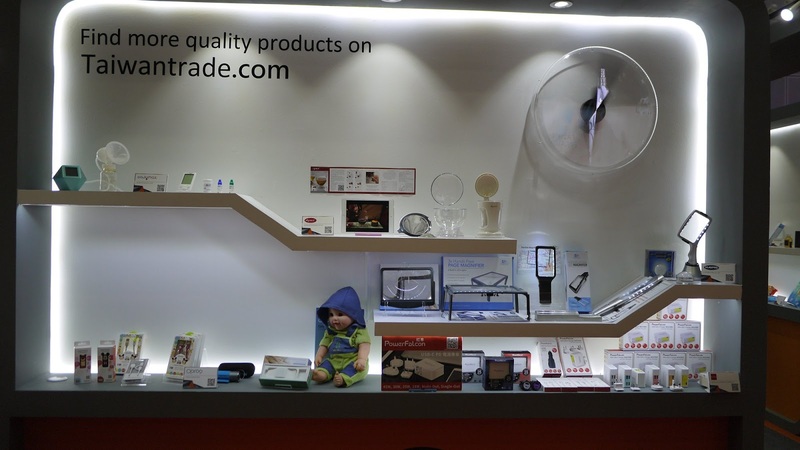 Taiwan Expo was back for the second year in Malaysia last week. I had the privilege to work with them again this year and I am glad to have visited the Taiwan Expo 2018 which was held from 25 Oct to 27 Oct 2018 at Kuala Lumpur Convention Centre (KLCC). 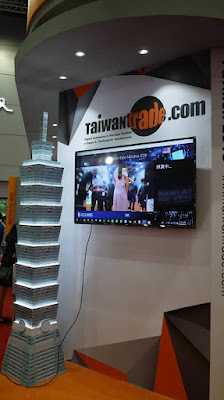 Everyone was welcome to Taiwan Expo 2018 as the admission to the pavilion was free. 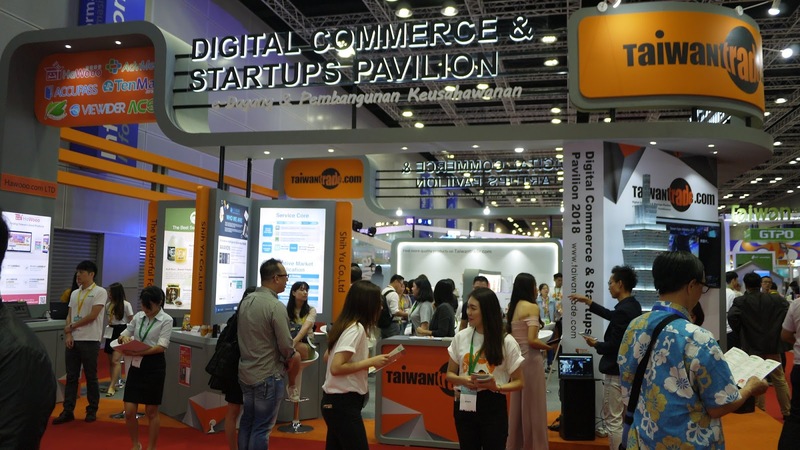 There, we have seen many Malaysians who were interested to venture the e-commerce and startups market have definitely benefits from the Taiwan Digital Commerce & Startup Pavilion. Organised by the Bureau of Foreign Trade and TAITRA (Taiwan External Trade Development Council), top personalities and companies from Taiwan’s successful digital and startup community were present at the pavilion to share their knowledge and experience with like-minded digital entrepreneurs from Malaysia in hope of promoting the exchange and cooperation between both countries in the fields of startups and e-commerce. Aside from meeting these top leaders, visitors to the pavilion had also got to see and feel for themselves advanced digital systems such as facial recognition and learn more about tools for e-commerce businesses. The pavilion is also a platform for Taiwanese entrepreneurs to capitalize on Malaysia’s high Internet penetration and demographic dividend. Malaysia is home to over 27 million Internet users in 2018 and its e-commerce market is estimated to be worth USD$7.2 billion by 2025. 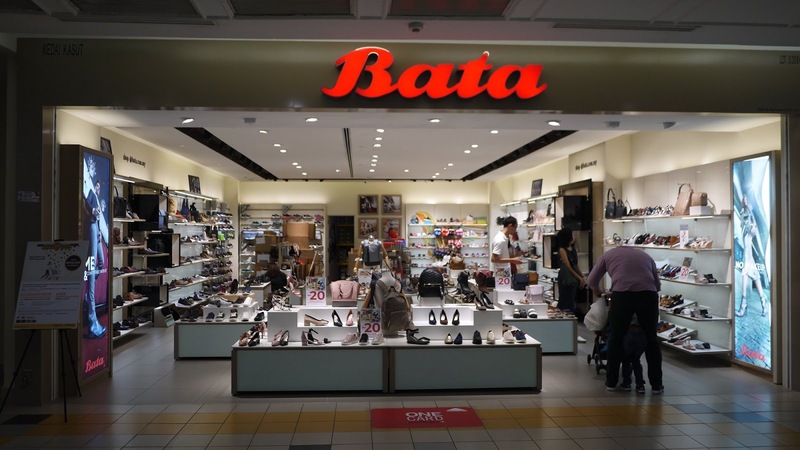 Bata is my family's favourite shoes brand, it is indeed a brand deeply loved by the whole Malaysia Nation. Our PM, Tun Mahathir is also wearing Bata's sandals that is comfortable to wear and reasonable priced. No wonder it is always sold out even now. I remember when I was a small girl, my parents always bought Bata shoes for my school’s shoes. 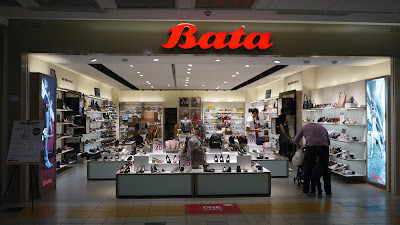 Until today, I am buying Bata shoes for my girls's school shoe because they are good shoes to wear for a long day and the prices are affordable. 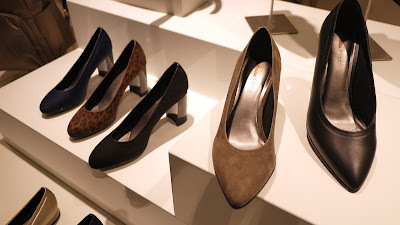 Recently I have spotted the new Bata B-Flex Collection when I was window shopping at 1 Utama. Bata revolutionary B-Flex collection of seamless shoes is based on high tech materials that can be implemented in any type of shoes from sneakers to high heels. B-Flex shoes are stable yet flexible, comfortable and resistant featuring a clean and modern urban design. I was attracted by the trendy designs hence I took the chance to try them out. I had fun trying out the boots, sneakers and the heels during my shopping time. The designs are so nice that I would love to buy all of them. In this modern age, women are encouraged to be independent without compromising on their beauty. As a mother to two lovely girls, wife, daughter, blogger and entrepreneur, I constantly search for the next best thing to make me look younger, presentable at work and be a role model to my girls in my daily life. I had tried dressing up, adopting youthful makeup techniques and even stepping up on my beauty regimen but still the signs of aging were obvious. Am I fighting a losing battle? I am stepping into my 40s pretty soon, the lines, loss of volume and sagging of my face are starting to concern me. Not only do I not look great, but I do not feel my best as well. That’s when I realise having beautiful skin is essential to build my confidence in facing everyday challenges from work to relationships. Hence, I made an appointment to visit Premier Clinic TTDI and was happy to have met Dr. Kee who gave me his professional advice on my skin. He addressed my concerns on the lines, loss of volume and sagging by recommending the Ultherapy treatment, fillers and a Pure Toxin*. He also assured me that the results would be really natural. Let’s do it, I say, because if not now, then when? *A next generation, pure botulinum toxin, free from complexing or unnecessary proteins. Ask your doctor for more information. The first treatment I had was Ultherapy on my whole face. I have heard about Ultherapy treatment, which stimulates the production of new collagen, allowing the skin to feel lifted and tighten over the next few months. Even though I felt anxious, I was excited to try this advance treatment myself. I was led to the private treatment room where the assistant applied numbing cream all over my face and I waited for around 20 minutes. When the doctor came, seeing the jitteriness in me, he kept reassuring me about the procedure which allowed me to feel more comfortable and relaxed. I know I am in good hands. Dr. Kee applied sonogram gel on my face before he used an Ultherapy wand. He would glide it all over my face, press firmly and zap my face with the device. 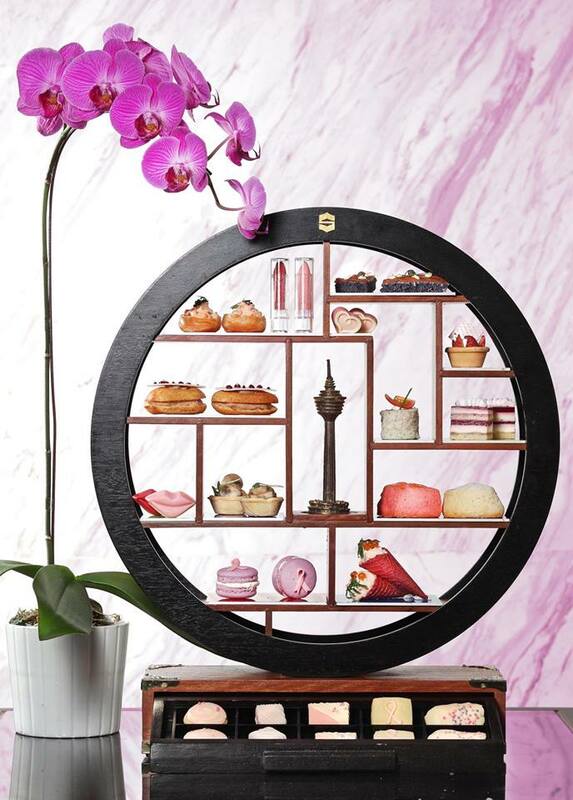 Calling all cake lovers, you can now takes your cake enjoyment experience to the next level with the newly launched Le Pont Cake Creations. 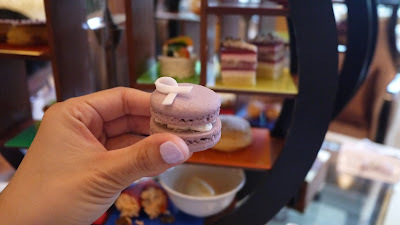 Consists of a range of specialty artisan cakes that are made from scratch with the freshest premium ingredients, Le Pont Cake Creations invite you to indulge at any time, any place. There are 15 mouth-watering cakes in Le Pont Cake Creations. Customers can order their favourite cakes online and have them delivered straight to their doorstep. Isn't this convenient and save time? The best part is, it only takes 4 hours to deliver to most locations in Kuala Lumpur and Petaling Jaya. Everyone can enjoy fresh cake whenever they want to. In fact, cake is part of everyone's life isn't it? Birthdays and weddings wouldn’t be complete without it. Furthermore, it’s been scientifically proven that eating cake while someone else is also eating cake can build friendship bonds and symbolise togetherness. 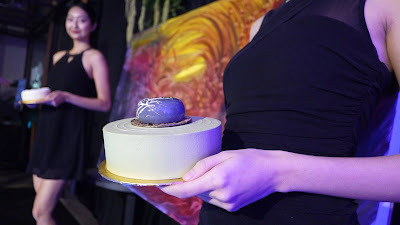 As a cake lovers, we were honoured to attend the launch event of Le Pont Cake Creations and meet the Head Chef of Le Pont Coulangerie et Cafe, Mr. Soong Chee Heen there. He is young and passionate baker, he has given great care and attention to detail to ensure cakes that differ from those commonly available in the market. The art of baking is tedious and requires greater skill, but results in a lighter texture and better mouthfeel. When I was a child, I love to cut out human pictures and nice dresses from magazine to play. Growing from a small middle class family, I did not had a doll to play with. But I had tons of fun playing with my own DIY paper dolls and dresses. It has been one of the greatest childhood memories for me. Now, as a mother of two growing up kids, I want to give them more than what my parents had given to me. 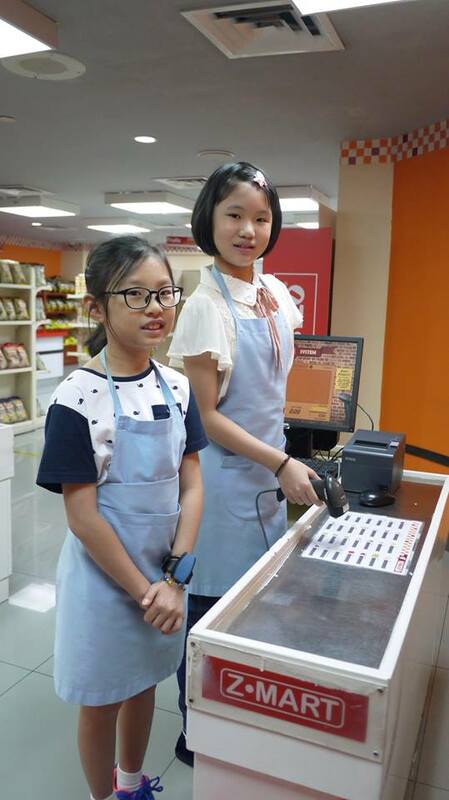 Not only from the daily nutrition, but also spend time to accompany them to play and learn. I believe that pretending and dramatic play drives child development. Not only the kids will have fun in it, it will also improve their imagination. Through pretend plays, children become more comfortable and prepared for life events in a safe way. Children often use pretend play to work out more personal challenging life events too, whether it is coping with an illness in the family or a house fire. I believe that pretend play is much more than simple play activities; it requires advanced thinking strategies, communications, and social skills. Through pretend play, children learn to do things like communicate with strangers, consider others’ perspectives, transfer knowledge from one situation to another, delay gratification, balance their own ideas with others, develop a plan and act on it, explore symbolism, express and listen to thoughts and ideas, assign tasks and roles, and synthesize different information and ideas. 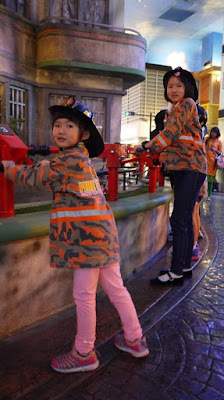 We are glad that KidZania has opened in Kuala Lumpur seven years ago. As an interactive edutainment theme park for kids to role-playing activities, KidZania is designed to imitate real-life World. 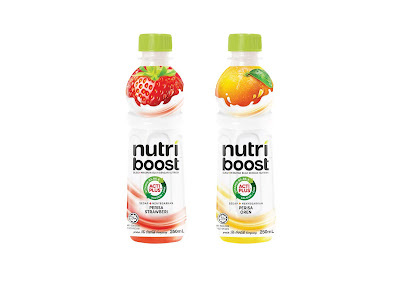 Coca-Cola has unveiled Nutri Boost™, a new innovative drink that combines the world’s best milk from New Zealand and real fruit juice in a convenient, ready to drink “milk + juice drink”, which is now available in Malaysia. Available in orange and strawberry flavours, the Halal certified milk and juice drink is fortified with Vitamin A, B1, B2, B3, B6, E as well as minerals Zinc and Calcium. 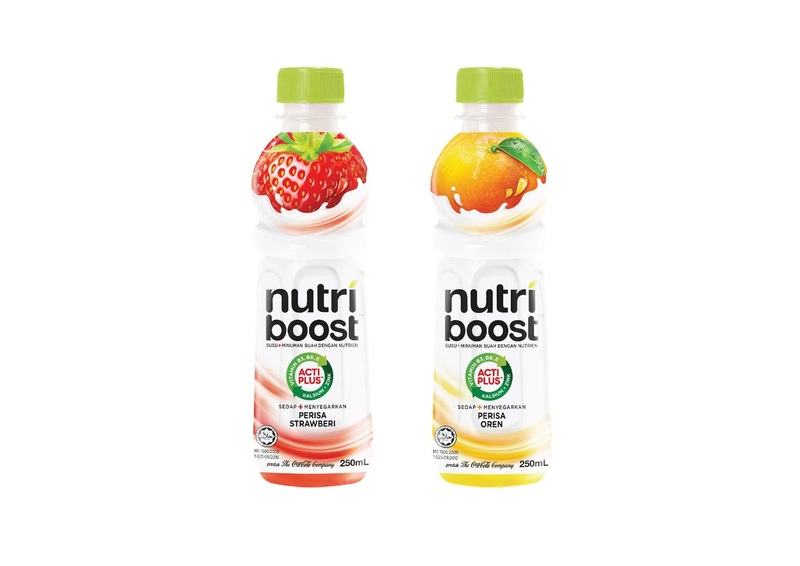 Nutri Boost™ will be available nationwide, sold in 250 ml bottles at a recommended retail price of RM2.50. “Our commitment is to always give people more of the drinks and experiences they want to make their everyday moments more enjoyable. 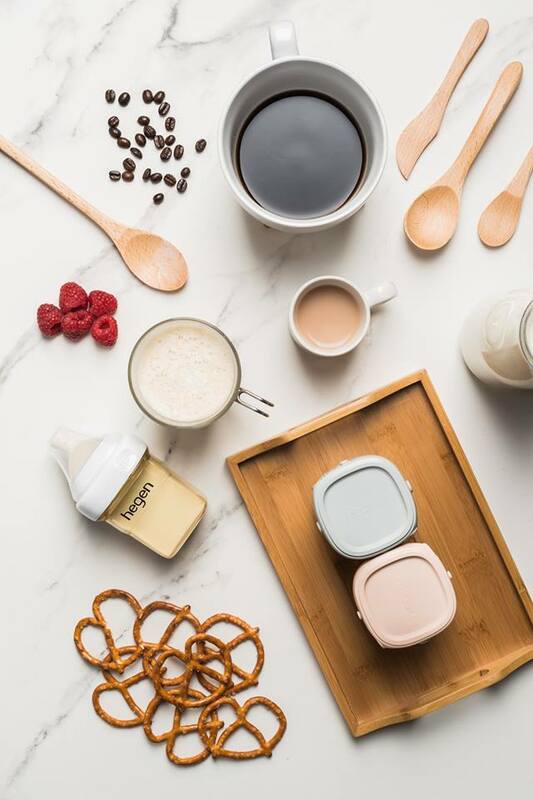 According to our consumer research, there is an unmet need from consumers who are looking for something that gives the benefits of milk but that is also tasty and refreshing like juice. 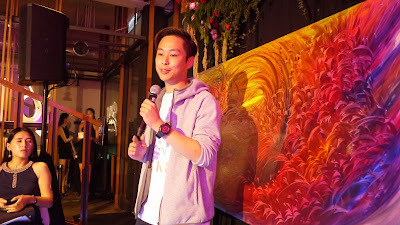 That’s why we’ve created Nutri Boost™,” said Country Manager of Coca-Cola Malaysia, Singapore and Brunei, Ahmed Yehia. In art, the blank canvas is an invitation for creativity and self-expression through colour, shapes, and textures. In makeup, your face is your canvas. With this in mind, Avon launches its new global brand Mark., putting the power of artistry in consumers’ hands and inspiring beauty junkies to make their mark. “Mark. 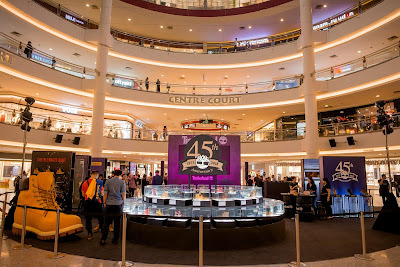 represents the expressive beauty trend of millennials today, and this fits the company’s aspirations in becoming the top-of-mind color brand for youths, especially the makeup enthusiasts,” says Onur Erdinç, the General Manager of Avon Malaysia. Mark. is designed to inspire women to celebrate their individuality with cutting-edge makeup, on-trend colours, innovative textures, and precision tools. The Mark. portfolio offers a palette of possibilities with everything a beauty lover needs to express herself; from tone-shifting lipsticks that transform looks in an instant to an impeccable face-perfecting setting spray. The Mark. cosmetic range presents 18 new concepts: matte lip lacquers, creamy high-pigment lipsticks, ‘transformer’ lipsticks, 4 innovative brow & eyeliners, 3 mascaras, contour & highlight duos, cheek duos, liquid foundations, pressed powders, wet & dry eyeshadow pallettes, a primer and a fixing spray. 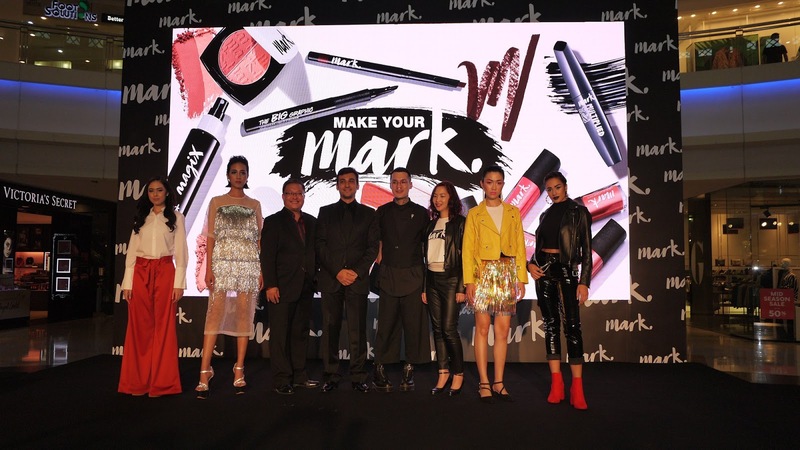 The launch also saw the unveiling of Mark.’s latest addition to their celebrity makeup professional family, Malaysia’s famous makeup artist, Steven Sunny. Hong Kong Tourism Board unveiled the “Hong Kong Neighbourhoods – Sham Shui Po” promotion in Kuala Lumpur on 16 Oct 18. This launch is part of a region wide campaign which highlights Hong Kong’s most authentic neighbourhood - Sham Shui Po, and encourages travellers to explore the rich history of Sham Shui Po just as locals do. From open-air markets that sell a whole eclectic of wares, to historical temples which exist side by side with Michelin recommended restaurants and hipster cafés, Sham Shui Po is home to both traditional sensibilities and modern tastes. Michelle Loo and Raymond Chan, HKTB Regional Director, Southeast Asia, celebrating the launch of Sham Shui Po at a Hong Kong Tourism Board organized event, Kuala Lumpur. 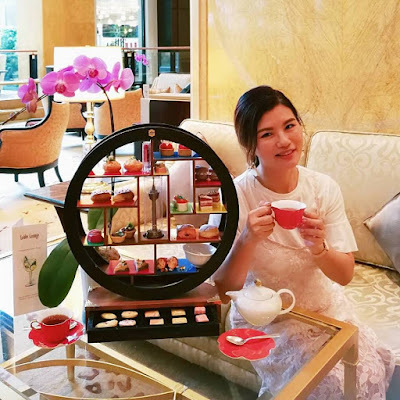 "Hong Kong culture is immersed in rich history and deep traditions; and at the same time, it is continuously evolving with new trends in fashion, technology and even culture. We aim to encourage visitors to explore Hong Kong beyond the traditional tourist areas as we believe Hong Kong will continuously bring new and exciting experiences for Malaysian travelers. With its many different and unique aspects which cover cuisine, architecture, arts, and fashion, Sham Shui Po will surely leave a lasting impression on visitors.” said Raymond Chan, Regional Director, South East Asia, Hong Kong Tourism Board. Located in Kowloon Island, Sham Shui Po has slowly but steadily emerged into one of the most vibrant districts in town. The neighborhood is host to several authentic experiences – from the street market at Apliu Street, a one-stop destination for gadgets and electronics shops, and fabric shops all the way from the ribbons shop at Nam Cheong Street, buttons store at Ki Lung Street to the unique toy shops at Fuk Wing Street. Eventually, Timberland became the name of the entire company. The boot was never intended to be a fashion icon. It was made for hardworking New Englanders, rugged terrain, and wet weather. 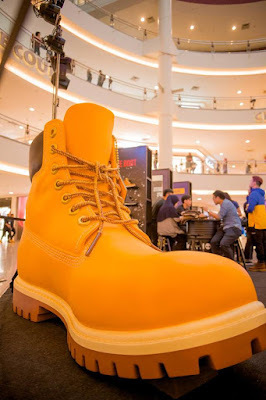 But by the mid-1980s, Timberland’s original waterproof boot started becoming popular throughout Italy, the United Kingdom, and Germany. In 1985, the boot became popular in Hong Kong with the rise of urban hip-hop style. Today, the boot and brand is recognized globally. 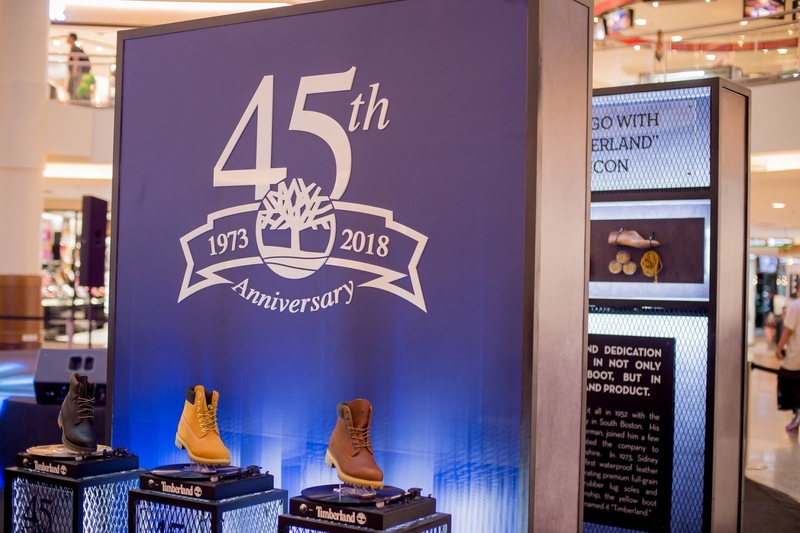 To mark their 45​th​ anniversary, Timberland introduces a special collection of boots to celebrate the heritage of bootmaking. The collection features remixes of the iconic yellow boot—made with premium materials and expert craftsmanship. Timberland completes the mix with low-profile chukkas, pull-on Chelsea styles, and Earthkeepers® versions made with eco-conscious materials. 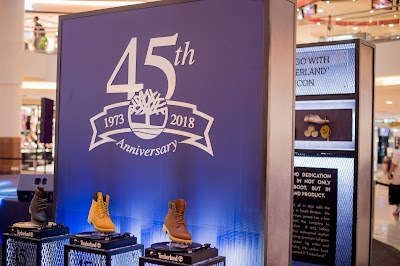 Each boot is remixed with sapphire highlights—a symbol of the 45​th​ anniversary—making them distinctively unique and worthy of caring on a legacy. 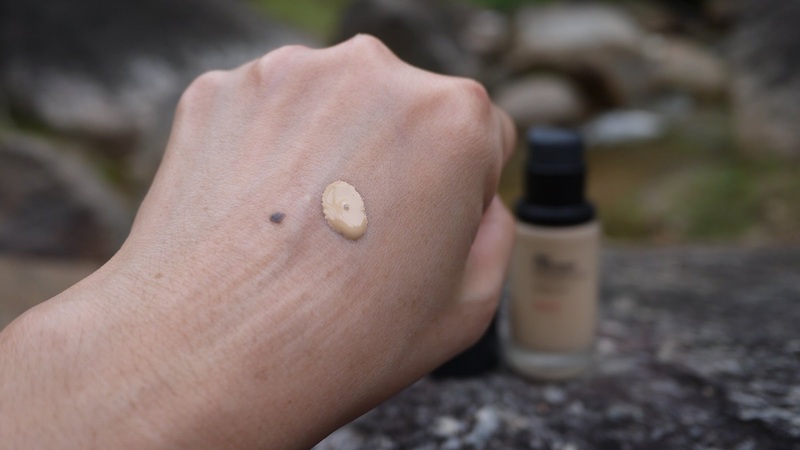 One of my favourite Korean brand, THE FACE SHOP has launched their Ink Lasting Foundation Slim Fit and Ink Lasting Foundation Slim Fit To Go few months ago in June 2018. Since then, Ink Lasting Foundation Slim Fit and Slim Fit To Go have quickly become popular among all the beauty youtubers and beauty bloggers here. According to THE FACE SHOP, the new foundations hide imperfections yet accentuates the skin’s radiance. Thanks to the new technology, Ink Lasting Foundation Slim Fit and Slim Fit To Go provide perfect coverage with round-the-clock moisture. 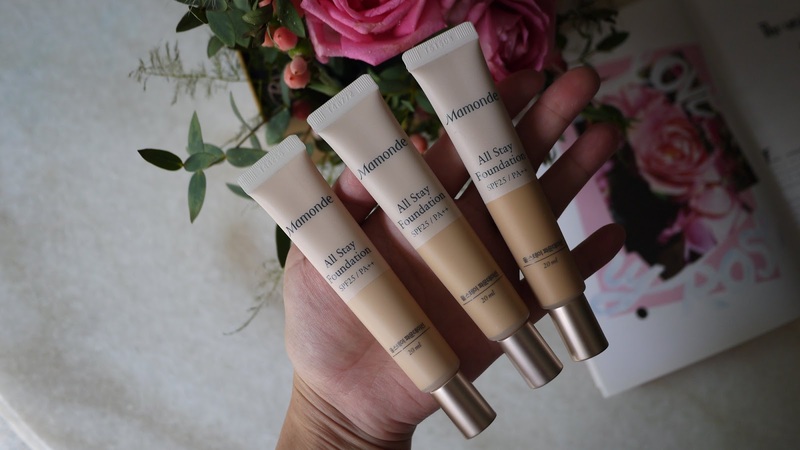 We all know that base makeup stays beautiful if skin is well-hydrated. Hence, Biosaccharide Gum-1 is added in the foundation to provides instant and long-term moisture to the complexion. Unlike Hyaluronic Acid, which loses its moisture as time passes, Biosaccharide Gum-1 gradually enhances its moisturizing effect! 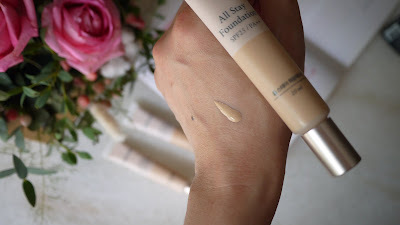 The foundation consists of a unique combination of two star ingredients: Flat Cover Pigment provides natural coverage with its multiple flat layers, which closely adheres to skin. The formula is as light as a feather yet incredibly ingenious, while Air Pore Powder absorbs 4x more sebum than its own size, preventing excessive shine and improving brightness throughout the day. 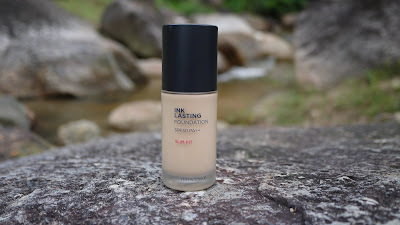 As a daily foundation user, I am happy to give THE FACE SHOP Ink Lasting Foundation a try. Our National Sports Day (Hari Sukan Negara) fell on the second Saturday of October each year. It is held in raising the awareness of the importance of shaping active and healthy individuals to aid in the development of a country. In conjunction with National Sports Day 2018, Intermark Mall encourages shoppers to step up their health and fitness regimes, from a healthy dining on delicious guilt-free food, to sweating it out with super fun workouts and shopping great sporting deals. I am honoured to be able to spend half a day to experience a healthy sporty day at Intermark Mall recently. With the other media representatives, we started the day right with a pre-workout juice to top up energy, vitamins and nutrients. 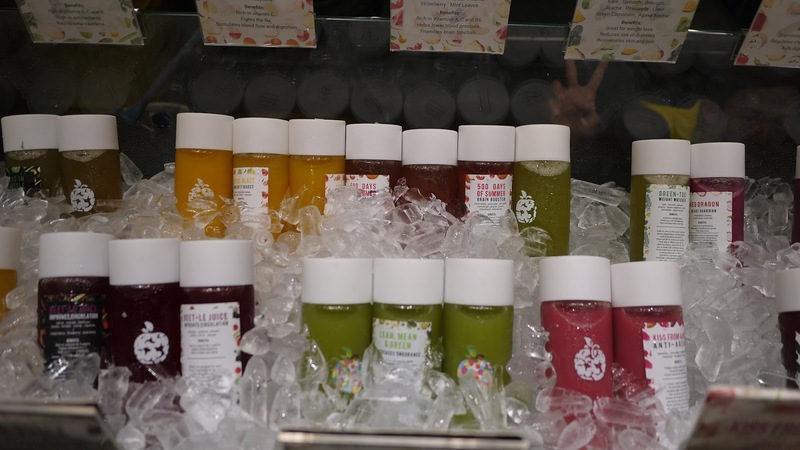 Pick up a LifeJuice, bottled fruit and vegetable juices that are cold-pressed everyday, ensuring life-supporing nutrients are preserved. 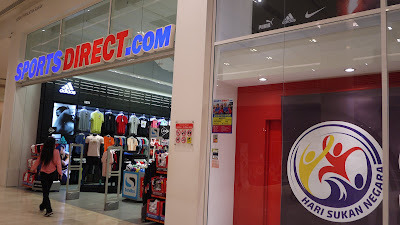 Then, we picked up our sports attires at SportsDirect.com, the UK's largest sporting goods retailer. You can find many brands for a diversified range of sports and pursuits there. Whether it's a pair of trainers or mountain climbing gear, swimwear or sports socks, the one-stop centre has it all, coupled with regular deals and bargains. Then, we gathered at the newly opened FlyProject for the fun fitness programme there. 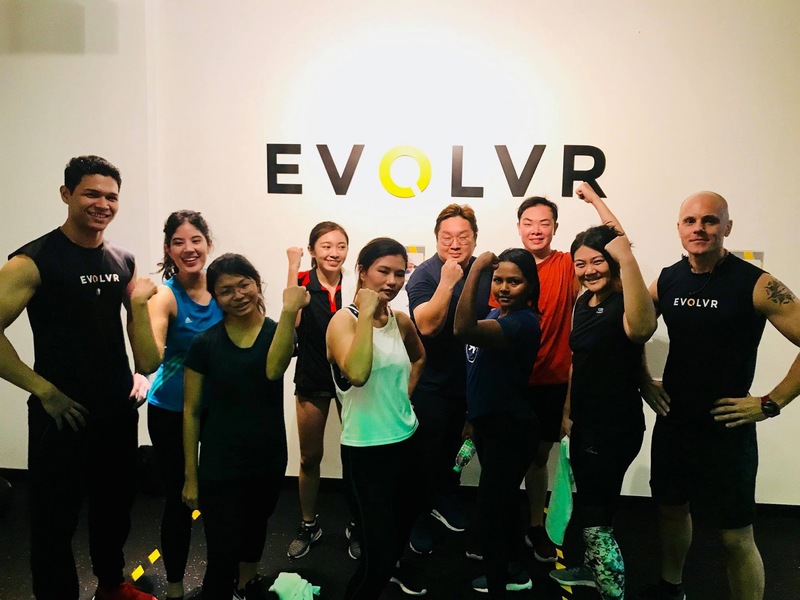 Aim to brings a fresh challenge to fitness enthusiasts, FlyProject is not just an ordinary gym, but an environment for people of all levels to achieve personal fitness goals alongside professional trainers. They are famous with Flycycle, the ultimate indoor cycling workout. 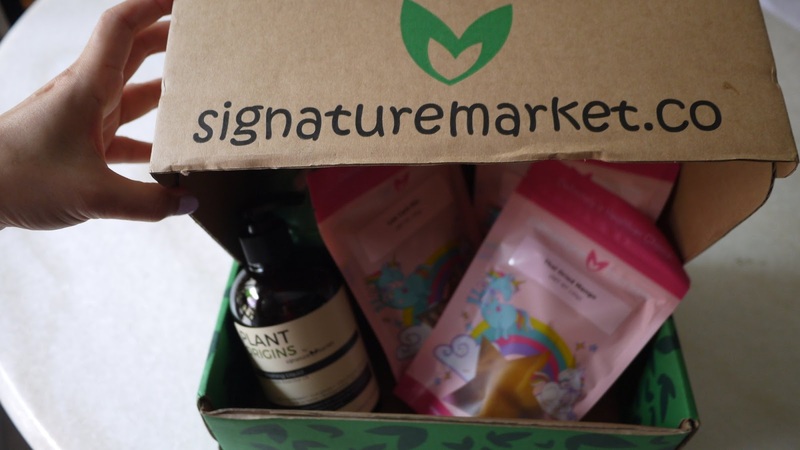 4 years ago, our favourite snack brand, Signature Market was launched. In conjunction with their 4th Anniversary celebration, they have demonstrated corporate social responsibility by organizing a fundraising event for the first time. In line with Breast Cancer Awareness month which fall on October every year, Signature Market has came up with a new limited edition unique packaging design. 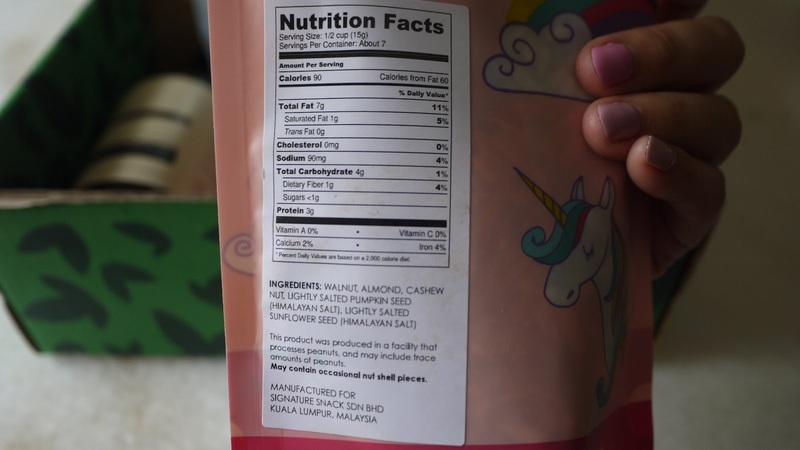 The unicorn signifies strength and pink indicate the women. 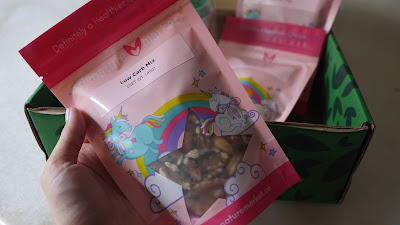 Do your part on the fundraising as Signature Market will donate RM 0.50 for every Low Carb Mix, Healthy Nut Mix, Omega-3 Trail Mix and Thai Dried Mango sold during October 2018. 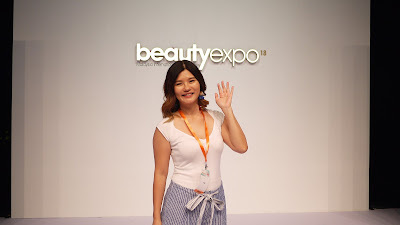 18th Edition BeautyExpo 2018 was held from 5th to 8th Oct 2018 at Kuala Lumpur Convention Center. 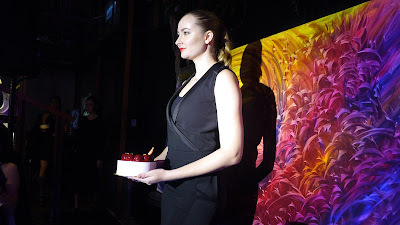 It was the longest running platform for beauty trade professionals to meet and connect. Organised by UBM Asia, BeautyExpo 2018 had over 380 International and local exhibiting brands in the areas of beauty, hair, nail, makeup & education, natural & health as well as halal cosmetics from 30 participating countries including Belgium, Japan, South Korea, Singapore and Thailand. 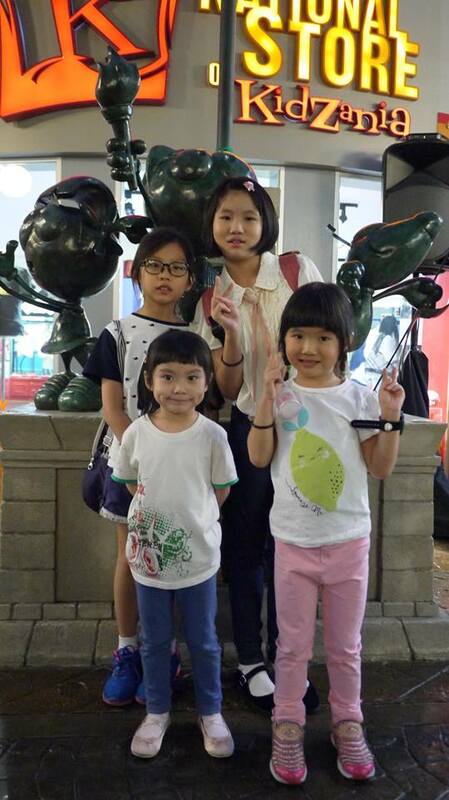 Opened from 10 am to 7 pm over the 4 days, the admission charge was only RM 10 per entry. BeautyExpo 2018 is also supported by the Oriental Beauty Group, Ginn International (HK), the Beauty Brands Certification Platform from Korea, Star Brand Awards Int'l and the biz-linking product info management app, catTHIS, by the national accelerator of Enterprise Singapore. I am honoured to be invited by MadMavericks, the Official Media Partner of BeautyExpo 2018 to their first ever Influencer experience tour. 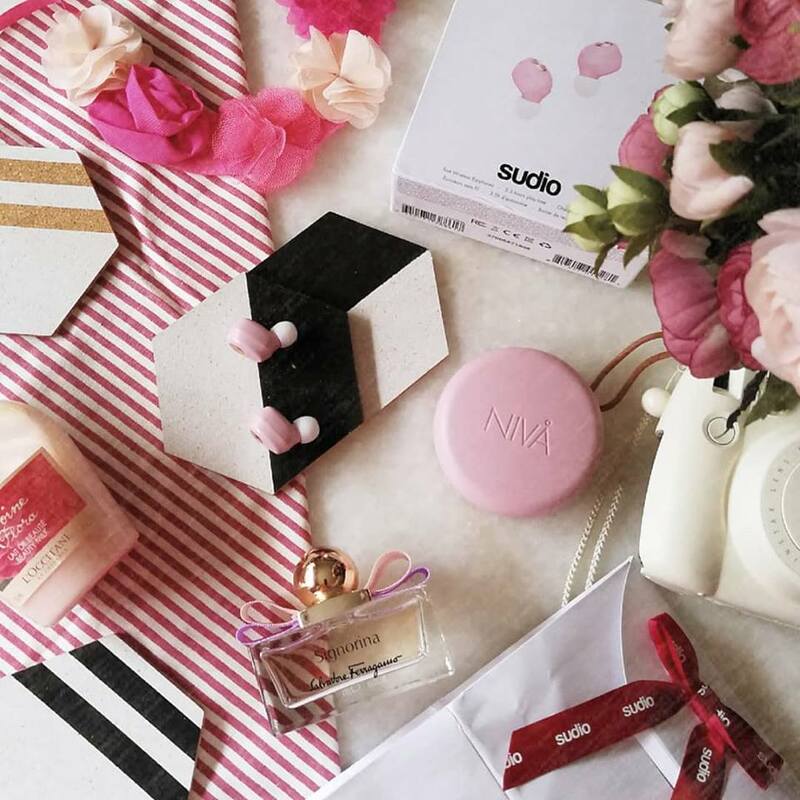 The group of 16 beauty bloggers and influencers were really excited to see the innovative beauty products, latest advancement in technologies and comprehensive program line-ups at BeautyExpo 2018. 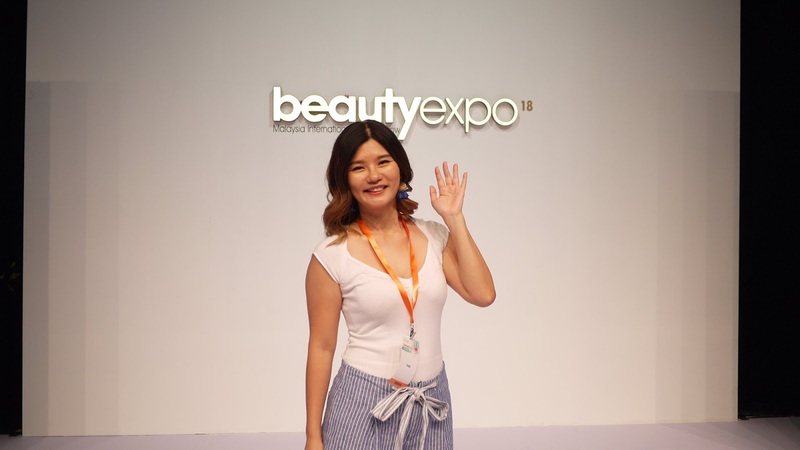 Powered by Cosmoprof Asia, the largest professional beauty exhibition in the Asia region, and organized by UBM Asia, BeautyExpo is the pioneer beauty trade show in Southeast Asia. 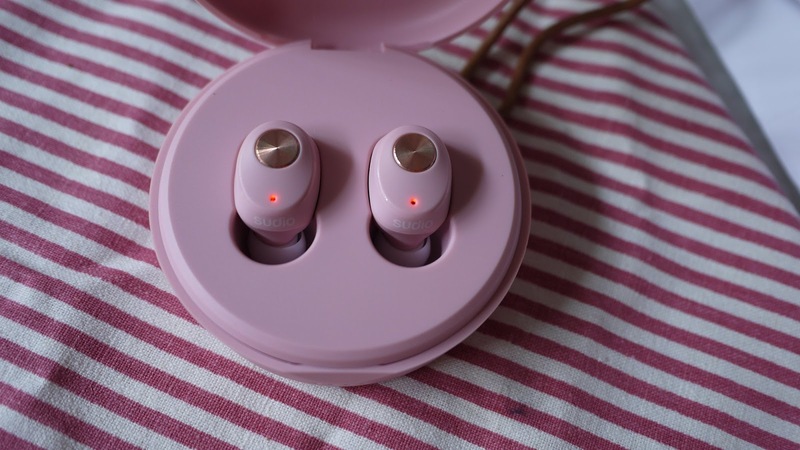 My favourite earphones brand, Sudio Sweden has launched its brand new Nivå wireless earphones. As a music lover, I am so excited to give it a try. Sudio Nivå Wireless Earphones comes in 4 shades - white, black, pastel blue, pastel pink. I love all the colors available – white is pure and classic, black is cool and practicle, pastel blue is hip and calming while pastel pink is sweet and soft. It was a hard decision for us. If you have been following my social media, you will know that we have picked pastel pink in the end. The Sudio Nivå Wireless Earphones has a remarkably compact construction and portable charging case. 1. Go into your Bluetooth function through your device's Settings. Turn Bluetooth on. If Bluetooth is already on, be sure to “refresh” by turning the Bluetooth off and then back on again.